Welcome to The Learning Zone Nursery! We are on Dumbarton Road in the Whiteinch, Scotstoun and Victoria Park areas of Glasgow. 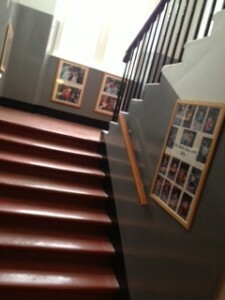 We care for children ages birth to 5 years in a welcoming, relaxed and homely atmosphere. We are a Centre for Excellence, with a standard of care that is un-equalled in the West End of Glasgow. We provide a unique, high quality, family run, Early Years Centre where all children are respected and valued as individuals and encouraged to actively take control of their own learning at their own pace. The care and nurturing of your child is at the core of everything we do. We offer small class sizes with a high ratio of staff to childre n, to ensure your child is given the individual attention they need to feel safe, secure and happy at nursery. Our curriculum is based on ‘Active Learning’ through play, combining fun and high quality educational experiences to equip your children with everything they need to be happy, healthy, smart, independent people. We work in partnership with parents, involving and informing you in all aspects of your child’s learning and development during their time with us. You, as a parent, are important to us and we strive for excellence in being responsive to each families individual needs and wishes. The Learning Zone Nursery Head Teacher is Kathleen Drury. Utilising over 50 years of experience, Kathleen has an unrivaled reputation for high standards and excellence in the provision of childcare. 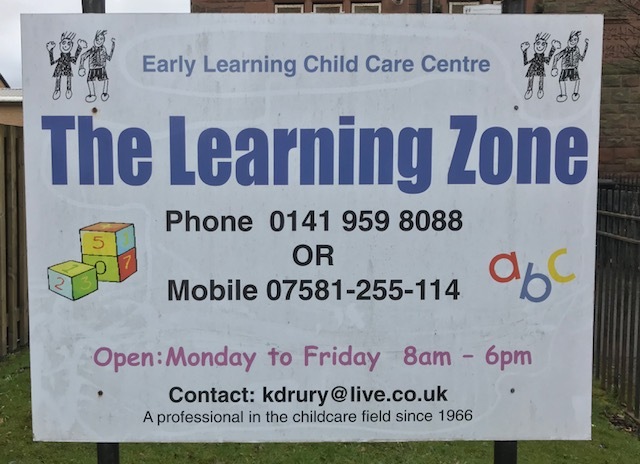 If you are looking for childcare where all children are valued and respected then come along and see what is on offer at The Learning Zone. Feel free to drop in to view our facilities – no appointment necessary! Open 50 weeks per year. Eco Garden completed – let’s grow and play!